This page was last reviewed on February 26, 2015. This Bylaw may be cited for all purposes as Bylaw No. 824, being the “The Corporation of the Village of Cumberland Heritage Commission Bylaw No. 824, 2006”. 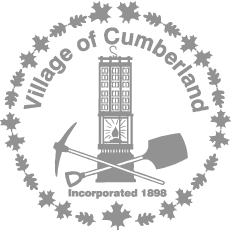 In this bylaw, “Commission” means the Cumberland Heritage Commission, and “Council” means the Council of the Corporation of theVillageofCumberland. 1. The Commission shall be comprised of not more than 12 members and may include one Councilor with the remaining members from the community at large, all of whom shall be appointed by resolution of Council. 2. Commission members shall be appointed by Council to a three year term, and may be re-appointed for further terms. 3. In the event of a vacancy occurring among the appointed members of the Commission, Council may appoint a new member to fill such vacancy for the unexpired portion of the term. 4. Any appointed member who is absent from three consecutive regularly scheduled meetings, without having provided a satisfactory reason to the Commission Chairperson, shall be deemed to have resigned from the Commission. 5. If a member of the Commission receives Council’s permission for a leave of absence, Council shall then appoint a replacement member for the period of the approved absence. Such a leave of absence shall be for a time greater than two consecutive months but not exceeding 6 consecutive months in any given 12 month period. 6. An employee of theVillageofCumberlandis not eligible to be a Commission member, but in the event that there is no Councilor on the Commission should attend Commission meetings in a resource capacity. 7. Members of the Commission shall serve without remuneration except for actual expenses incurred in the discharge of official Commission duties. 8. A Commission member may be removed by a two-thirds (2/3) vote of Council. 1. The Commission Chairperson shall be selected by the Commission from the members. 2. If the chairperson is absent from any meeting of the Commission, the members present shall elect one of their number to serve as Acting Chairperson and the member so elected shall preside at such meeting. 1. Fifty percent of the appointed members of the Commission shall constitute a quorum. 2. All members of the commission may vote on all questions. 3. All matters brought before the Commission shall be decided by a majority vote of the members present. 1. The Chairperson shall cause minutes of all meetings and proceedings of the Commission to be recorded and shall forthwith after the adoption by the Commission of such minutes sign and deliver the same to the Village Chief Administrative Officer. 2. Save with respect to matters expressly dealt with or provided for in this bylaw, the rules governing proceedings of the Commission shall be those governing proceedings of Council, insofar as the said rules may apply. 4. Notwithstanding Section 6(3), special meetings of the Commission may be held at the call of the Chairperson, provided that at least 24 hours notice of such a meeting is given to all the members. Special meetings may only be held without 24 hours notice if this requirement is waived by unanimous vote of all Commission members at such a meeting. 5. All meetings of the Commission shall be held in open session. When deemed advisable by the Chairperson to hold an in-camera meeting, such a meeting shall be held if approved by a two-thirds (2/3) majority vote of the Commission members present. In-camera meetings may only be held to discuss legal, land acquisition or personnel issues, or if otherwise advised by Council. 6. No act or proceeding of the Commission or its members shall be considered valid unless authorized by resolution at a regular or special meeting of the Commission. Council shall include in its annual budget such sums as Council deems necessary to meet the expenses of the Commission. 5. submit to Council for its approval on an annual basis a work program report which summarizes the activities of the Commission in the year past and outlines the work priorities proposed for the upcoming year. Bylaw No. 758, being the “The Corporation of the Village of Cumberland Heritage Commission Bylaw, 2002” and all amendments thereto are hereby repealed upon adoption of this bylaw. READ A FIRST TIME THIS 6th DAY OF MARCH, 2006. READ A THIRD TIME THIS 6th DAY OF MARCH, 2006. RECONSIDERED, FINALLY PASSED AND ADOPTED, THIS 20th DAY OF MARCH, 2006.